The Bhallas discuss whom to choose between Roshni and the baby. Doctor tells them that Roshni’s state is getting critical and they have very less time to decide. Ishita tells the doctor that they have to save both, mum and child. Raman also wants Roshni to be fine. He worries for Roshni’s life. Mrs. Bhalla suggests that they should select the baby’s life as baby is more important for them. Ishita asks her how can she be so selfish to think for the heir, rather than the woman who is sacrificing her life to give them happiness. She makes Mrs. Bhalla realize her mistake. Roshni summons Raman and Ishita in the ICU and tells them her wish of saving her baby. She asks them to decide in favor of the baby. She makes them promise that they will save the baby and raise the baby with love. She wants to give Bhallas their heir. Ishita cries seeing Roshni’s state. She prays for Roshni’s life. She doesn’t want Roshni to get punished for her mistakes done in the past. Entire family makes prayers for Roshni. Doctor tells them that Roshni is fine, as she is a fighter, who fought for her child’s safety. She congratulates everyone on birth of a baby boy. She informs that Roshni and baby can go home soon. The family gets a big relief on getting the good news. Raman distributes sweets in the hospital. He recalls the day when Adi was born. He gets happy that he got Adi’s son in his lap. Raman and Ishita get thankful to God that they have become proud grandparents. They experience the magical moment when they have the baby in arms. 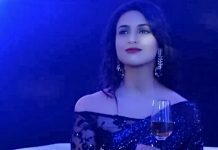 Roshni feels her dream has come true, as IshRa is together with the baby. 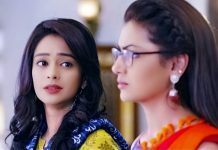 Ishita gets happy that Roshni is stable. Their happiness gets doubled. Roshni wishes they always stay together. The family plans a grand welcome for the baby.